Acid Redux or: How I Learned to Stop Worrying and Love the Reboot | Skinner Co. 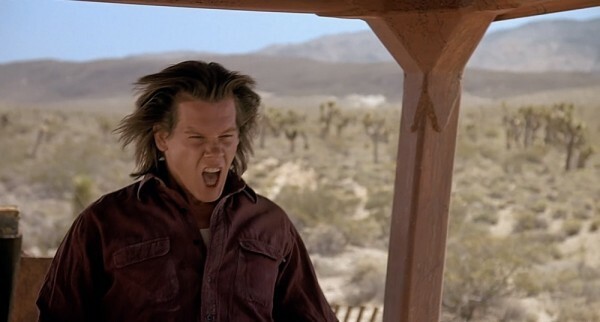 I am having some serious and complicated feelings around the notion of a Tremors television reboot actually starring Mr. Kevin Bacon. Let me use this as an excuse to launch sideways into a personal theory, however. As we approach Max Reboot – that point at which we have effectively run out of popular or cult franchises to contemporize – we are marching ever closer to our own time period. No longer content to CGI up the 1960s with Planet of the Apes and Star Trek, this announcement and last year’s TMNT abomination leave me feeling like the needle is now firmly somewhere in the ’90s. There were 5 years between Spider-Man 3 (2007) and The Amazing Spider-Man (2012) – it seems like there was once a time when a project that big took that long just to make. Will they even pause in the yearly cycle of Hunger Games movies before starting over at the beginning? That said, don’t panic: Our escape route is obvious. Eventually the needle will creep so far forward that some Hollywood suit will stumble across the notion of “rebooting a film that isn’t even out yet – refining an open palette, capturing something that hasn’t quite been seen before, tweaking the concepts of the genre without the limitations of a preconceived structure,” and we’ll be back to producing original ideas. Either that, or the Chrononaut Division will have to start pitching scripts. Prebooting! Perfect term for it. To be fair though, Hollywood was messing up properties decades before the reboot glut.